Powerade is a brand of electrolyte-based sports drinks that comes in a variety of fruit flavors. 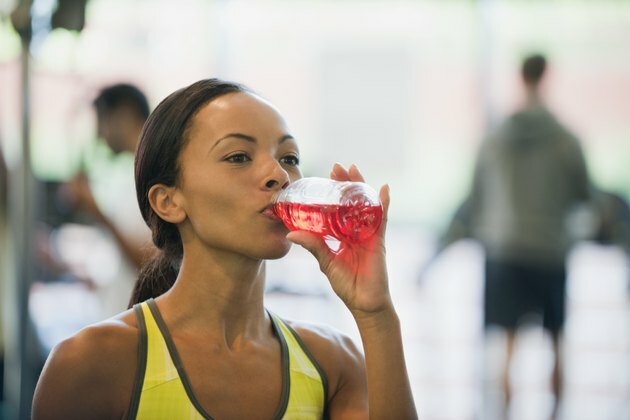 Powerade is a non-carbonated beverage that helps restore your body's balance of electrolytes, according to the manufacturer labeling. One serving of Powerade is considered 8 oz., according to the Coca-Cola Company, makers of the sports drink. A serving of Powerade is 50 calories. Powerade contains 10 percent of your recommended daily intake for three different B vitamins in each serving -- vitamin B3, B6 and B12. Though Powerade may not taste as sweet as sodas and sugary juices, each 8 oz. serving contains 14 g of sugar. Indulging in too many sugary food choices can lead to obesity and tooth decay, according to the American Heart Association.